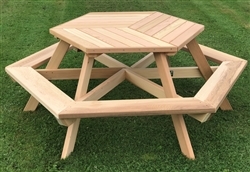 Check out our #1 Selling Picnic Table! 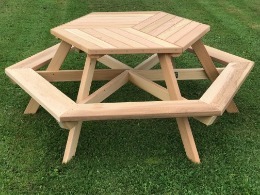 Do you have trouble using traditional picnic tables? For 35 years we have been building this time tested solution of just walking around the seat and sitting down. People of all ages absolutely love it! 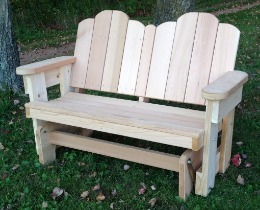 Cedar is perfect for outdoor furniture due to its natural resistance to insects and decay. Not only are chemicals not necessary to treat the cedar wood, it has a great natural aroma and beautiful color. 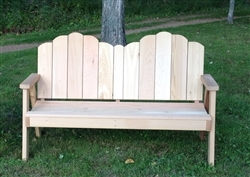 Additionally, cedar is lightweight and does not warp over time, making it durable and long lasting. Discounts will be automatically given upon checkout. 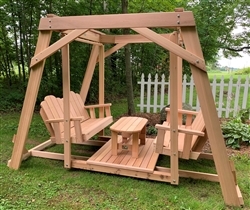 Dan's Outdoor Furniture has been a family owned business since 1984, and we've had the opportunity to build over 19,000 pieces of western red cedar outdoor furniture for businesses and families all across the United States. Our furniture is built exclusively with western red cedar to guarantee that everything we make is beautifully, aromatic and will last for several decades. Because western red cedar is naturally resistant to decay, it won't warp and is guaranteed to maintain its strength and durability for many years to come. Light yet stable, this type of wood is solid, strong and meant to last. Although our selection is made completely from western red cedar, you'll find that the pieces will vary in color from blonde and red to shades of brown. This is due to the naturally occurring differences in the wood itself, not from any treatments we apply. We know that owning quality outdoor furniture is an asset to your home or business. That's why every piece of outdoor cedar furniture sold here is patiently created using hand-selected wood that’s chosen for its beauty and quality. This careful process amounts to handmade outdoor furniture that's beautiful as well as functional every single time. 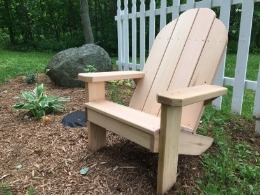 If you have any questions about the furniture available here, or you're interested in placing a custom order, contact us today at 715-659-4530. We're happy to work with your design needs, and can cater to customers looking to place larger orders. 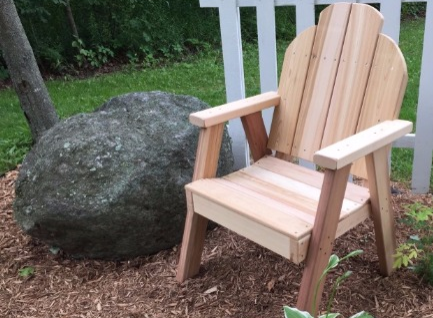 Whether you're an individual looking to create a cozy backyard atmosphere for your family or you're a business looking for long-lasting and functional outdoor seating, shop with us today. Your order ships free! Take a look around and we are sure you will like what you see! 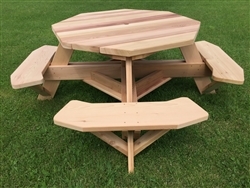 "I PURCHASED AN OCTAGONAL WESTERN RED CEDAR PICNIC TABLE. IT ARRIVED PROMPTLY, THE WOOD WAS SPECTACULAR, AND THE INSTRUCTIONS WERE ADEQUATE EVEN FOR AN AMATEUR LIKE MYSELF. I COULDN'T BE MORE PLEASED.."
"Hunted for a while for an octagon table and liked how this one has only the legs touching the ground. Others have large sections on the ground and with ours on the lawn didn't know if that would sit well. I wondered if Dan's design would twist when sitting on it, but discovered that it is very strong. This table is very well constructed and deserves strong praise. We really like it and recommend it!"